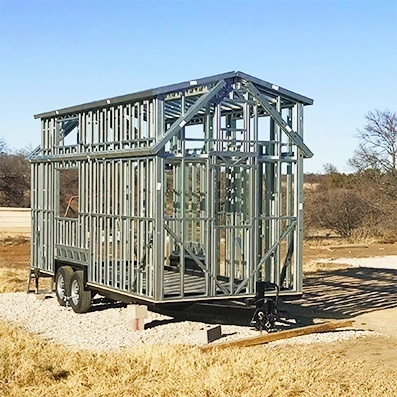 Volstrukt is revolutionizing the construction of tiny homes by using cold rolled steel design and machine manufacturing to create lightweight, engineered framing kits. 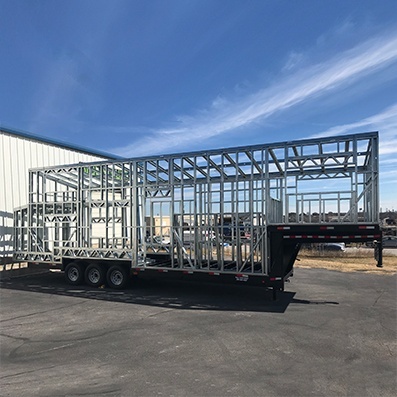 Volstrukt manufactures frames with 20 gauge G-90 grade galvanized steel via a CAD-controlled cold-rolled steel production process. The steel studs are pre-assembled in our factory and shipped as assembled wall and roof panels. The pre-assembled wall panels and roof are then connected by you (or your preferred builder) on a foundation of your choice. This produces a stronger, lighter frame in two-three days, saving valuable build time. Design a custom tiny house or commercial retail frame for DIY or builder finish-out. Will include frame CAD design. 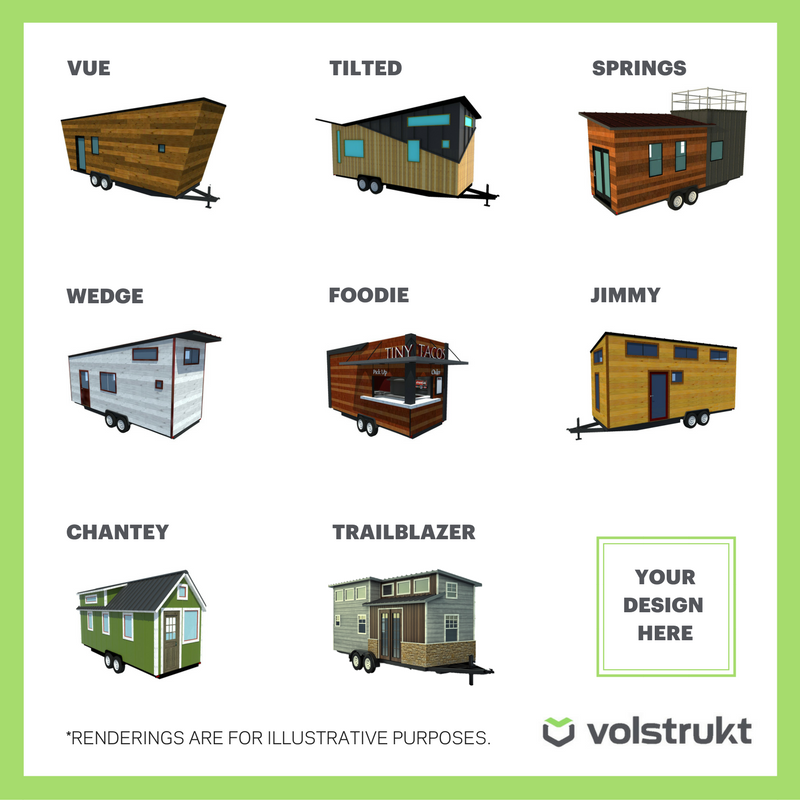 Volstrukt's stock tiny home kits with configurable options for windows, doors and lofts. For DIY or builder finish-out. Pre-designed models by builders and Tiny House DIY enthusiasts, includes purchase of house plans. Whether you have a few questions or are ready for a quote, we are here to help! Ready to get a full quote on your project? Want to find a builder or frame dealer near you? Want to become a VOLSTRUKTInsider partner? We have resellers, dealers and trusted builders all over the US to make sure steel frame customers have options. If you are ready for a quote and have a model picked out let us know! Have questions about tiny home framing for your project? We'd like to help answer those! Get in touch with our help desk here. I'm ready for a salesperson! If you're ready to skip our initial help desk call which includes general ballpark estimates and would prefer to start the process on purchasing your tiny house, hit this button to get started! 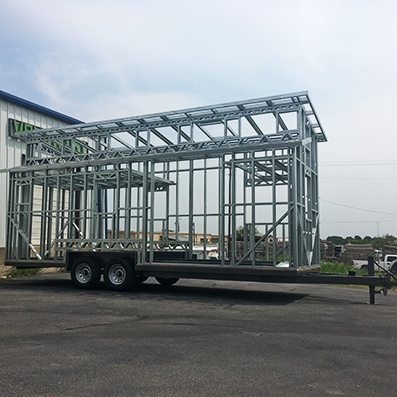 TV's tiny homes built using our lightweight steel frame kits. © 2015-2017 Volstrukt LLC. All Rights Reserved.